We are very pleased to be reporting to you on our impact, in line with the new strategy we introduced at the beginning of this financial year. 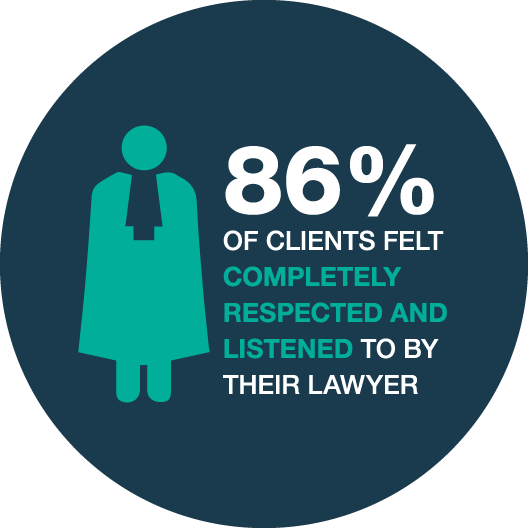 For over 15 years now, we have focused on “issues arising from relationship breakdown and violence against women” and on providing an active casework/legal representation service. In 2011, we made a significant shift to recognising overall social impact as the true measure of our success – focussing on outcomes rather than activities or outputs. Our 2016 strategy affirms these past decisions and builds on them by being based directly on our theory of change which itself recognises that the foundation of our capacity to create change is the depth and breadth of our coal-face legal work. A theory of change is a method for planning and evaluating social change in which long term goals are identified and then mapped backwards to identify necessary preconditions. Our strategy then identifies how we will make decisions about what activities we undertake to achieve those goals. Traditional strategic plans often attempt to determine activities up front. 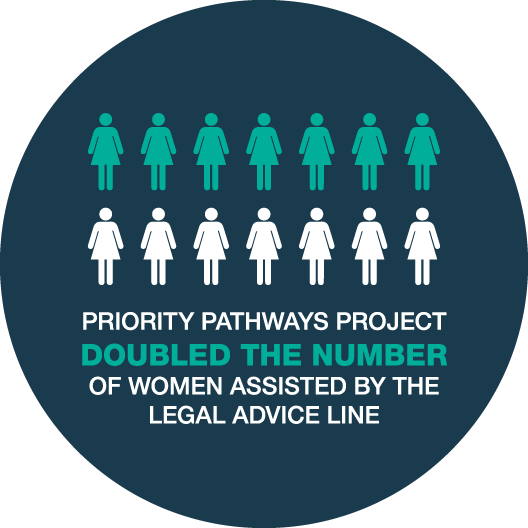 Our belief is that, in a constantly changing environment, it is preferable to focus on outcomes and continually hone our services (or activities) to best meet the needs of women experiencing disadvantage and to contribute to our goals. As you will read in Free from violence we have both deepened and broadened our commitment to intensive legal representation, successfully expanding into the child protection area, and taking on ever more complex cases across all four of our practice areas: family law, family violence, child protection and victims of crime assistance. 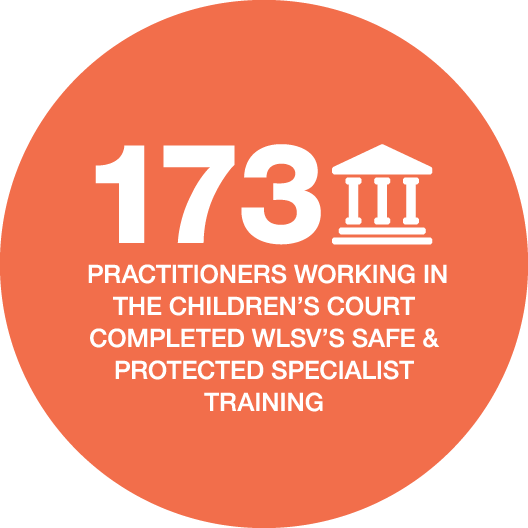 In Women’s rights, you will read about the practical impact of our professional development on family violence for a range of practitioners working in the children’s court. The training reached lawyers from multiple agencies, the private profession, child protection practitioners, Children’s Court staff and the judiciary, increasing knowledge and skills and stimulating critical discussion across the professions. In the section specifically dedicated to Change, you will read about a major systemic change victory in which WLSV has been a significant player, in its own right, and as law reform coordinator of Women’s Legal Services Australia. This is the Australian Government’s commitment to ban direct cross-examination by perpetrators of victims of violence in family law proceedings.